Garden design a little boring? Have no idea why? 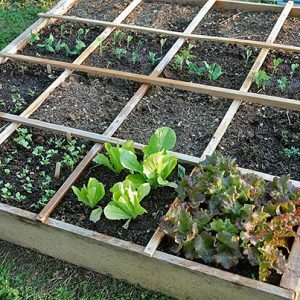 Chances are that your garden space needs a little shake up. The basic principles of design should come into play when planning your garden, and using texture in the garden is one of the quickest ways to add interest and give it that “professionally designed” feel. What do I mean when I talk about texture in the garden, and how do you use it? There are three easy ways to utilize texture when planning, renovating, or just changing things up in the garden. What is Texture in the Garden? 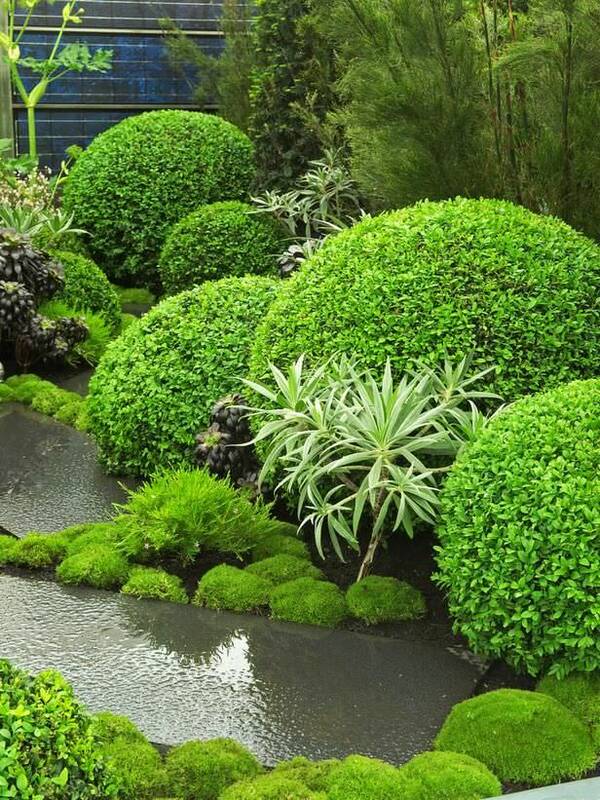 Texture is the combined look of all the surface elements of a garden working together, and is usually defined by being fine, medium or bold textured. 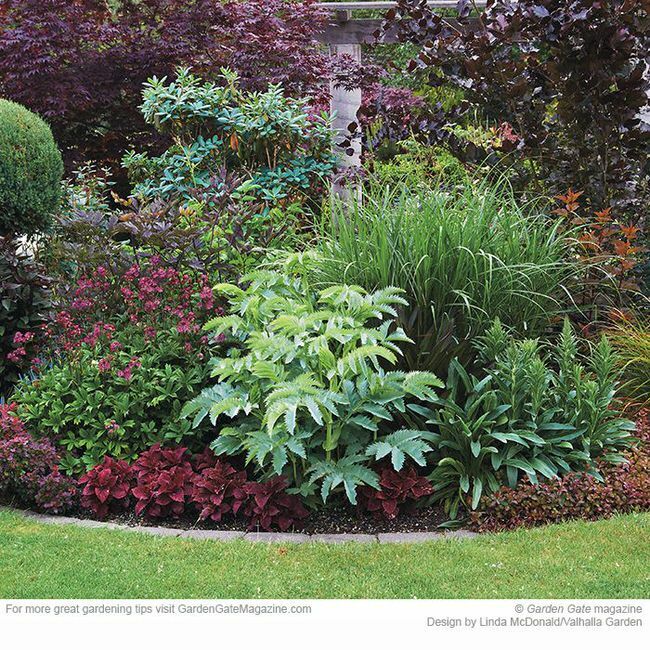 Fine textured plants and elements are usually wispy and delicate, and look better in broad groups and swaths than alone. An example would be airy Queen Annes Lace. 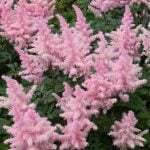 Bold texture are plants with wide, strong leaves or flowers and usually demand a lot of attention. The most common examples are hostas. Medium texture in the garden is just that… medium. Which includes just about everything else! Most plants are medium textured. 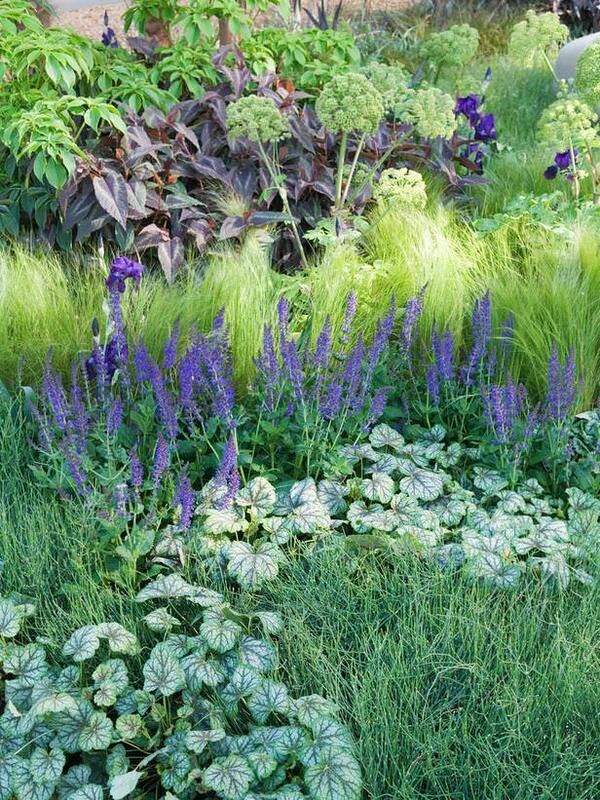 The photo below shows all three textures working together in this garden design. Photo by ‘HGTV‘. 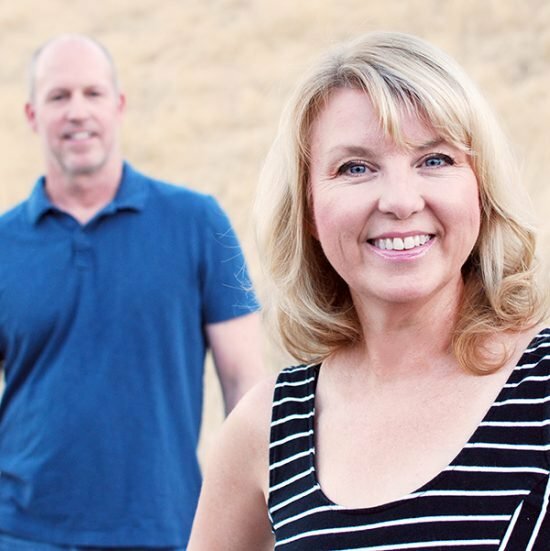 The trick to using texture in garden design is to realize what you want from your space. Lots of bold texture is usually a space with much more drama and possibly formality. A space with mostly fine texture tends to be very casual, natural and free flowing. The idea is to find a mix that works for you. 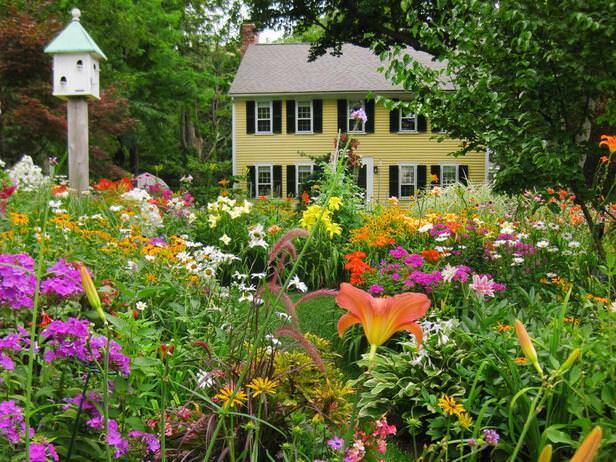 Is your garden too bold and hard looking? Add some fine texture to soften it. Too boring, as if everything is lost? Contrast fine texture with bolder plants or elements. 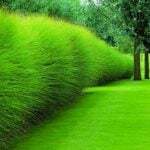 The mix that is right for everyone is different, and I do not believe in rules in a personal garden. Part of the joy of gardening is discovering these things about your plants and your space, and working to create the feeling you want. Photo by ‘Garden Gate Magazine‘. Foliage – This is as simple as bringing in new plants to the garden design to add contrast to the texture that is already there. Think of the shape and size of the leaves, and also any pattern and color they carry, as they affect the overall feel of texture as well. 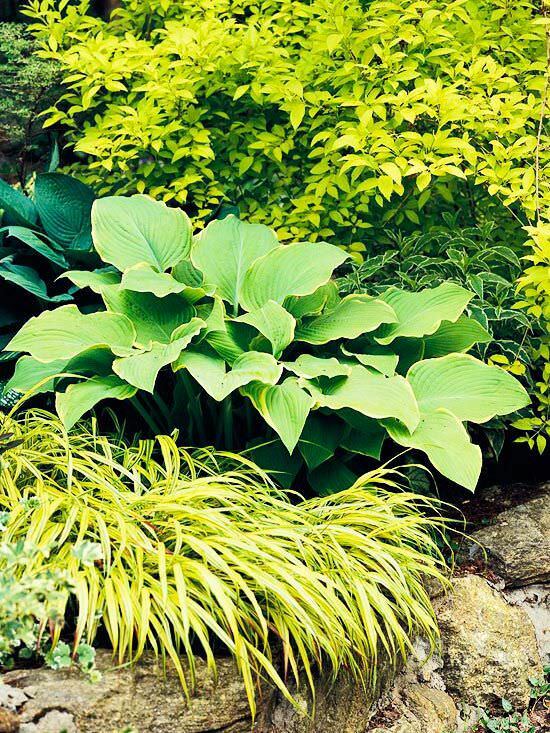 A hosta with variegated leaves will look finer in texture than one of the same size that has no striping. Dark foliage looks bolder than bright. Photo by ‘BHG‘. Flowers – Flowers carry more impact for texture during the summer months, but if that is when you use your garden the most, then make sure you use them! 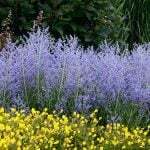 Roses are quite bold in texture, while lavender is much finer. Remember too, you can increase the visual texture (whether bold or fine) by increasing the number of plants in a group. 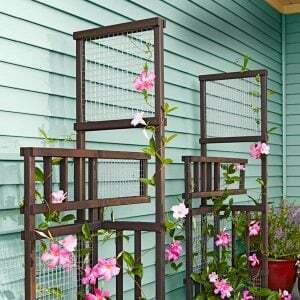 For instance, adding ten roses to a corner of the yard will add a lot more bold texture then adding just one. Photo by ‘HGTV‘. 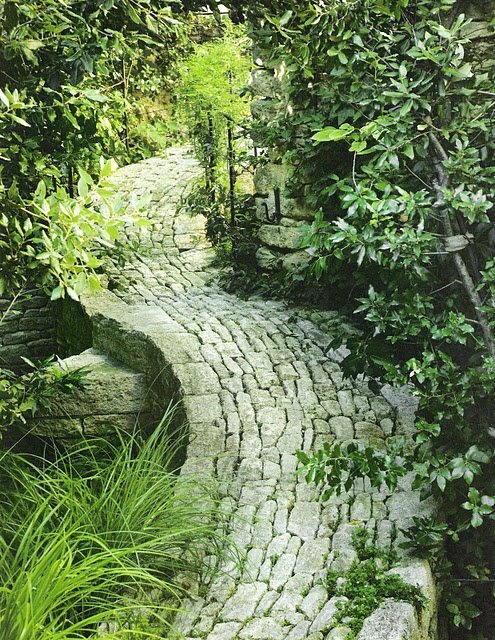 Hardscaping – Don’t forget the hard elements of your garden design, as they have visual texture too. Fine gravel, bold concrete, larger jagged flagstone, or herringbone laid brick. Photo by ‘Linen & Lavender‘. Use texture in your garden design to add interest and make your natural space something special. It’s easy! 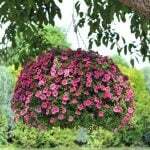 We think you will also love our posts on Privacy With Plants and Shade Loving Plants That Bloom All Summer!